Do you have a newly constructed porch? Perhaps, you just want to refurbish the front of your home to give it a more welcoming vibe. No matter the reason, it’s always a good idea to focus on how this area lights up. 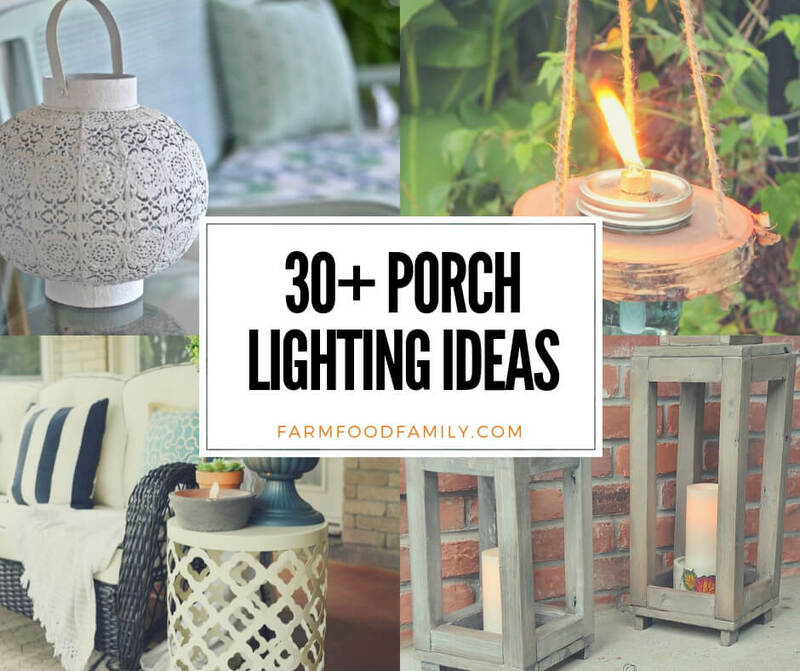 And if you need help brainstorming, we’ve got some fantastic porch lighting ideas right here. In general, any form of lighting does well enough to not only illuminate surroundings in the nighttime but also to accentuate the porch. However, there are styles and materials that are more expensive than others. Moreover, you need to take service costs into account if you’re not going for the DIY method. If you only have around $100, your porch lighting ideas are going to be limited. Still, this amount of money is enough to get you clear glass lighting. It won’t have any faceting whatsoever, but its base made of steel sheets are bendable enough to weld them accordingly. The finish could eventually wear quicker than you’d expect. However, you can get a more premium powder coating if you increase the budget to $150. This should give your porch lights more weather resistance. Otherwise, be prepared for oxidization and rusting to occur soon. A budget of up to $250 gives you a much better set of porch lighting options. The glass can now have faceting in the form of seeded glass — primarily characterized by its pack of tiny bubbles. Beveled variants are also thicker and allow for more decorative, complex glass designs. Instead of cheap steel sheets, you can now get the sturdier but less flexible aluminum. While this means you can no longer weld the base with ease, your fixtures can be constructed out of several die-cast parts. The aluminum benefits from powder coating to further delay the oxidization process. If budget isn’t a problem, then you’re guaranteed to have great-looking, long-lasting porch lights. The base will have impeccable details to ensure that the brass or copper looks unlike any other. Similarly, there are no limits in the design and beveling of the glass. The finish is likely to survive for many, many years. A multi-layer coating of chromium or silver keeps it beautiful and resistant to weathering. Furthermore, even the brass or copper sections will remain sturdy without any coating or polish. It’s important to get porch lights that are reviewed by a relevant authority such as Underwriters Laboratories (UL) — a global independent safety certification company. There are only two labels that you need to know: the UL damp rating and the UL wet rating. 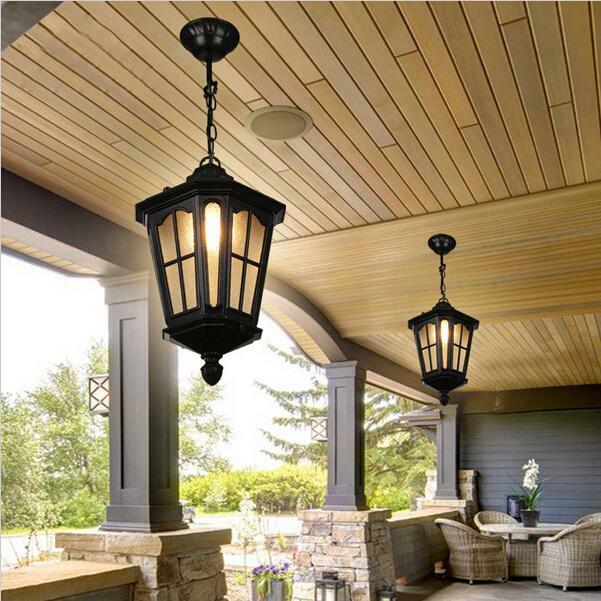 A porch lighting fixture with a UL damp rating is designed for areas that aren’t exposed to rain and excess moisture; snow and fog should not reach the lights and remain for a long time. On the other hand, lights with a wet rating are suitable for porches that constantly experience rain, snow, and dense fog. A compact porch can still get a decent lighting fixture if you place it on the ceiling. Place it in a way that provides light to both the door and the remaining area. And if the ceiling is higher than usual, you should mount outdoor pendant lights at a height that will prevent visitors from bumping their heads to it. With these 30+ porch lighting ideas below, you can decorate the porch of the house extremely impressive and eye-catching.